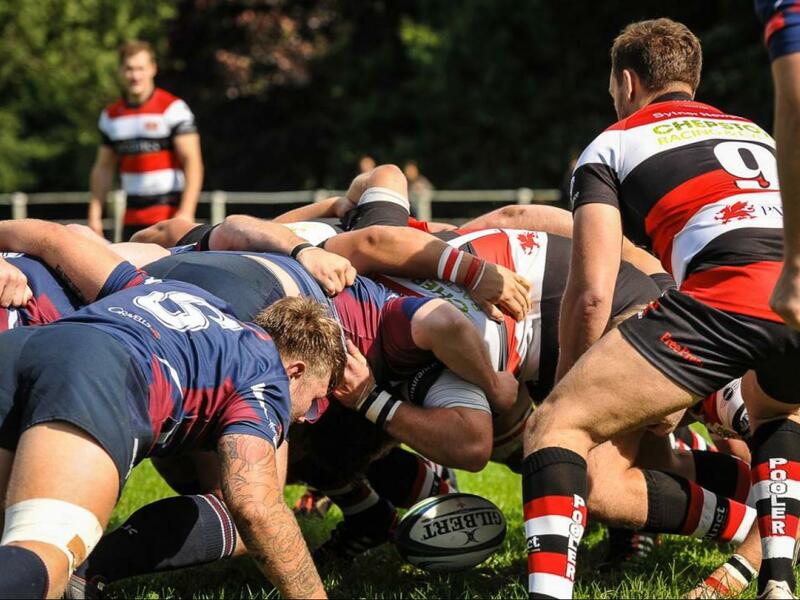 Injury-ravaged Pontypool battled to the end but could not hold out against an impressive Swansea outfit and were full value for their bonus-point victory at sunny Pontypool Park. Swansea kicked off playing down the slope. After 12 minutes Pooler centre Marc Thorley took a heavy knock to the neck when making a break up the right flank near the Swansea 22, and was stretchered off, being replaced by Pat Lewis. Soon after the long stoppage, Swansea fielded a kick in their half and, after the ball passing through several pairs of hands, captain and second row Sam Kiley put the visitors ahead with a try, converted by full back Josh Flye (0-7). Pooler’s right wing Nathan Brooks made a break up his wing and play reached the Swansea 22 where the visitors were caught off side in front of their posts. Outside half Tom Hancock slotted the easy kick to put Pooler on the scoreboard (3-7). Pontypool were penalised for offside 35 metres from their line to the right of the posts and Josh Flye increased the All Whites’ lead with a successful kick at goal (3-10). Pooler then went on the attack and had a couple of scrums near the Swansea goal-line. Pooler’s power at the set piece won them a penalty try, converted by Tom Hancock (10-10). The home side were again penalised, this time for not rolling away at a ruck on the half way line but Swansea’s attempt at goal went wide. Just before the interval, Swansea took a quick throw in near their 22 and again, after some good passing, right wing Andrew Claypole crossed for a try which was converted by outside half Ian Brooks. Half time score – Pontypool 10 Swansea 17. After ten minutes of the second period, Swansea were caught offside near their 10 metre line to the right of the posts and Tom Hancock made no mistake with his attempt at goal (13-17). 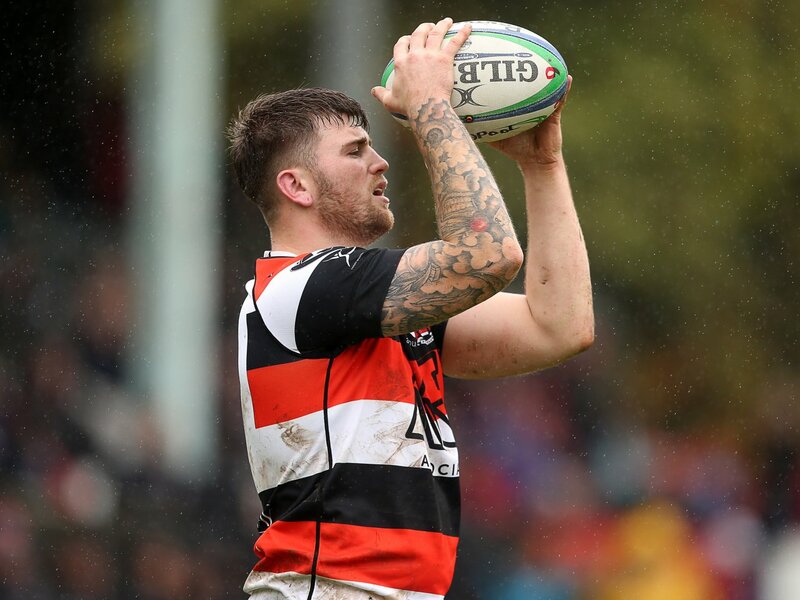 The All Whites were caught with hands in a ruck 35 metres from their goal line and Tom Hancock kicked the goal to put Pooler within a point of their visitors (16-17). Loose head prop Jamie Jeune was replaced by Jamie Edwards. Swansea hit back and went on the attack and centre Jed Evans took the ball on the angle, broke through the home defence and crossed for a good try to the left of the posts. The conversion failed (16-22). The visitors were guilty of going over the top 30 metres from their line in midfield but Tom Hancock’s attempt at the uprights went wide. Swansea made a break upfield and the movement was brought down just short of the Pontypool line and the referee adjudged home flanker Matthew Thomas hadn’t released the tackled player and was yellow carded. Josh Fyle goaled the resulting penalty to put the visitors two scores ahead (16-25). Shortly after, Nathan Brooks made a break and was high tackled 35 metres from the visitors’ line to the right of the posts by Swansea skipper Sam Kiey who was sin-binned for the offence. Tom Hancock failed with his attempt at goal. Josh Powell came on for tight head Garin Harris for the home team. Pooler’s young flanker Nathan Hudd took a blow to the hand when tackling and left the field, replaced by utility back Sam Mills. Mills took over at scrum half while the usual No 9 Aaron Quick became an emergency flanker. Poor tackling by Pooler let in Swansea left wing Richard Thomas for the All Whites’ bonus-point try near the posts which as converted by Josh Flye. Final score – Pontypool16 Swansea 32. Swansea could be the favourites for topping the Championship at the end of the season so the result was not a disaster for Pontypool. 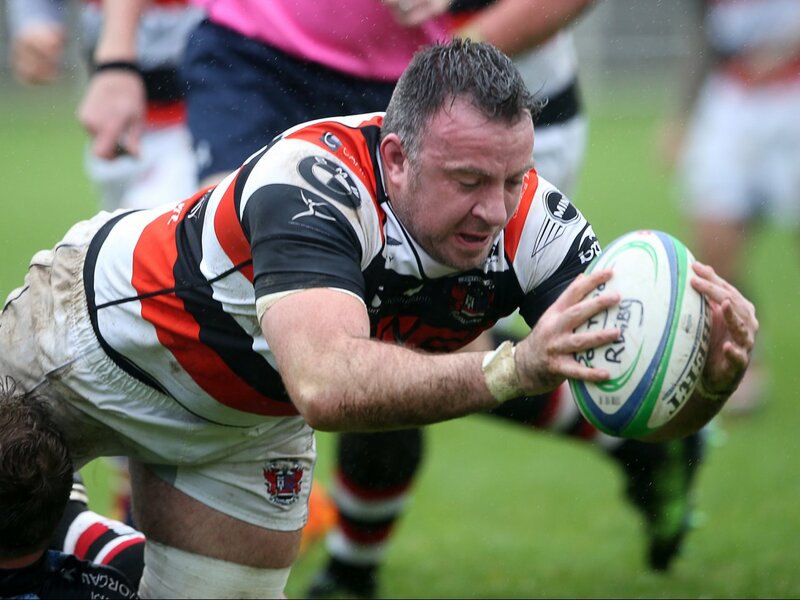 The Pooler injury list now number well into double figures so hopefully, some players will be back in the next couple of games or so to give Pooler a lift. Pontypool: Josh Hurley, Nathan Brooks, Marc Thorley (replaced by Pat Lewis), Ben Madgwick, Mike Burke, Tom Hancock, Aaron Quick, Jamie Jeune (replaced by Jamie Edwards), Ben Parry (captain), Garin Harris (replaced by Josh Powell), Derryn Jones, Ed King, Matthew Thomas, Nathan Hudd (replaced by Sam Mills), Jordan Williams (replaced by Lee Williams).